Dexter, Missouri is home to many attractions that visitors can enjoy including historical sites. 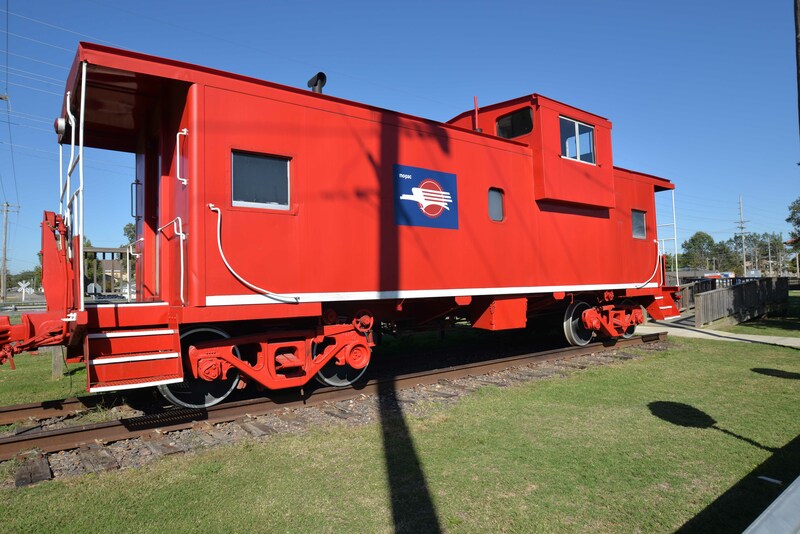 The Welcome Center – Depot/Museum, The Heritage House, and The Heritage Caboose are just three such attractions that preserve the city’s history in photos, artifacts and much more. The Stars and Stripes Museum is a 15-minute drive from Dexter where you can learn more about the 1861 birth of the Stars and Stripes military newspaper. 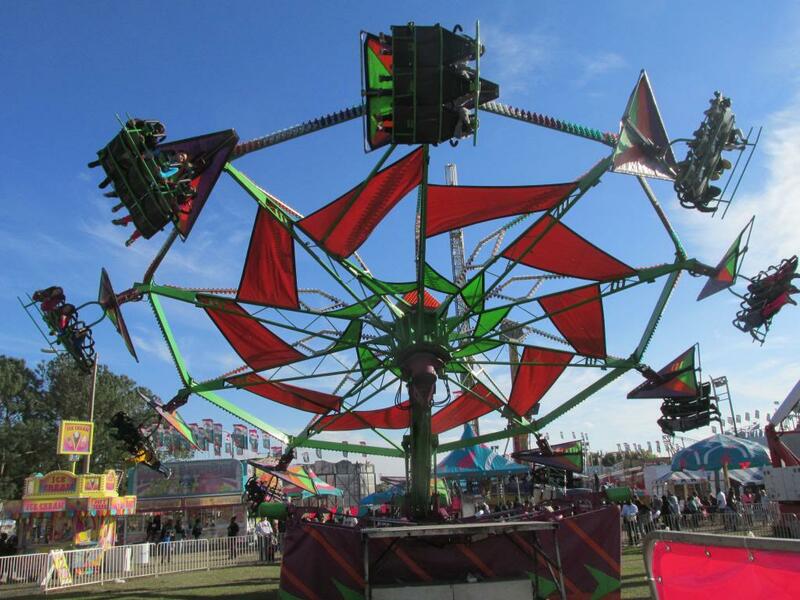 There is much to see and do during your visit to our community and county! 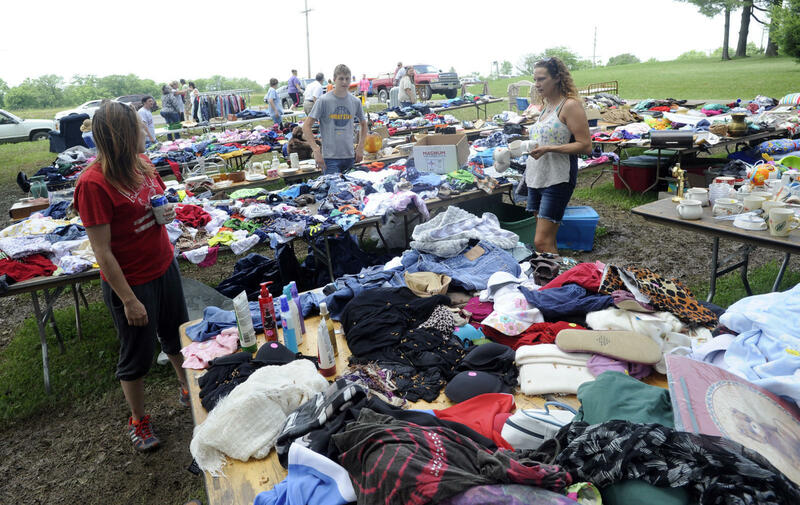 One of the largest yard sales in Missouri. It runs from Kennett, MO to Jackson, MO all along Highway 25. It is always the Memorial Weekend beginning that Thursday. 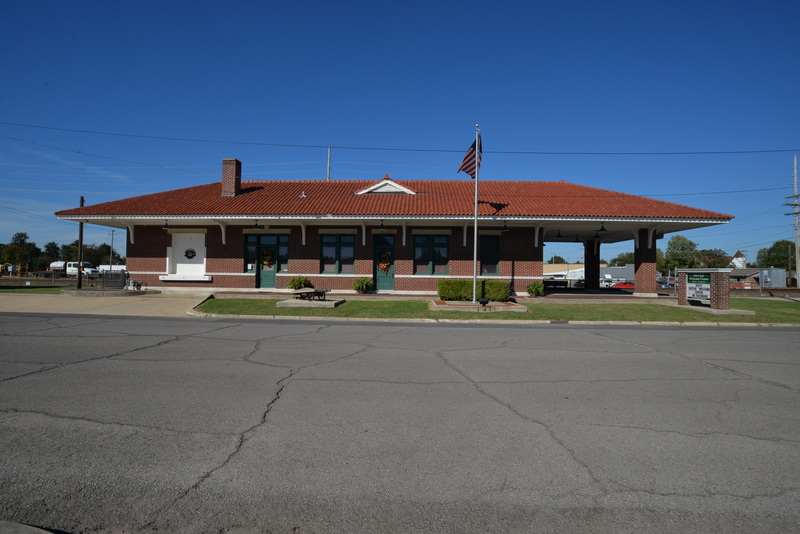 The Dexter Welcome Center – Depot/Museum was restored through a joint effort of the City of Dexter, the Dexter Chamber of Commerce and the Heritage Museum. The Museum portion is dedicated to preserving the history of Dexter through displays of photos, journals, clothing, and artifacts of the people, organizations, churches and businesses of the past. Dexter was founded in 1873 by the railroad. The town was laid out by the railroad and lots were sold on July 4, 1873, thus, the railroad has played a very important part in our history. One notable collection on display is “Evans Pottery,” unique pottery made from native clay by an artisan also native to the area. “Dexter – A Pictorial History,” a hardbound book depicting all aspects of Dexter’s history through text and photos, can be purchased at the Welcome Center for $15. Also available are brochures and maps of the community and the area. A model train display is being constructed with references to land marks in the downtown and surrounding area. The Welcome Center is open Tuesday, Thursday, Friday and Saturdays, 10:30 am till 3:30 pm or you can schedule an appointment. Call 573-614-5131. They also rent out the facility for special events. Located at Cooper and Castor, it is one of the community’s original homes. Each room has been restored to depict a period that different owners of the home lived in, including the original owners. 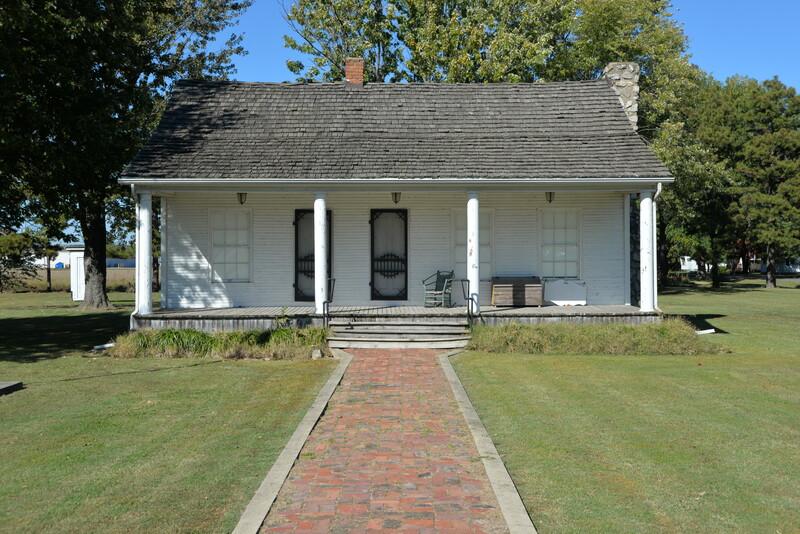 The house is maintained by a local non-profit volunteer organization that provides tours by appointment and during special events recalling the regions’ past. The grounds are maintained by the city’s park department. For more information call the Chamber of Commerce at 573-624-7458 or 573-614-5131. No admission. The Heritage Caboose is located on West South Main, due west of Welcome Center – Depot/Museum in Historic Downtown Dexter. The caboose is maintained by The Depot/Museum. Open by appointment only. Call 573-624-7458 or 573-614-5131. An observation deck is attached to the north side of the Caboose. No Admission. For those in military service and to veterans who served overseas, the phrase Stars and Stripes represents more than just our American flag. They recognize it as the newspaper that serves as the communication link between U.S. military personnel serving overseas and their hometown. On November 9, 1861, ten Illinois Union soldiers, using the vacated press of the Bloomfield Herald, published the first Stars and Stripes, which they named after the American flag. One of the original copies of that 1861 paper is now owned by the Stoddard County Historical Society. 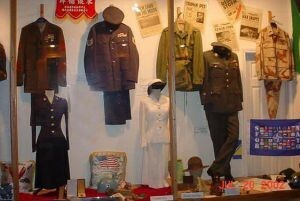 The history of the publication and the military lives it touched are being preserved at the Stars and Stripes Museum/Library. The facility serves historians, students and writers as an invaluable research tool. It also provides the general public with an educational opportunity to share the history and experience of veterans and Stripers alike. The museum/library is located in Stoddard County between Bloomfield and Dexter on State Hwy. 25. The museum/library is open weekdays, except Tuesday, from 10:00 a.m. to 4:00 p.m.; on Saturday from 10:00 a.m. to 2:00 p.m. and closed on Sundays.